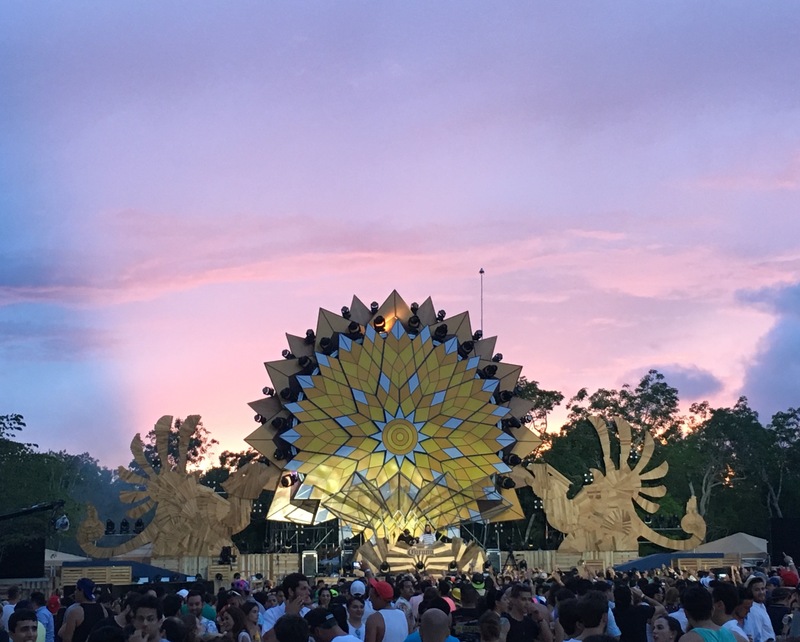 Corona Sunsets returned to Tulum, Mexico on 17 June for a daylong programme of electronic dance music in idyllic surroundings. The festival saw the country’s first outing for Vero – Funktion-One’s vertically arrayable loudspeaker system. Sound for the event was supplied and managed by Loto Audio – Funktion-One’s distributor for Mexico. Funktion-One founder, John Newsham, flew out to help with set-up for Corona Sunsets and to provide Vero training for the Loto Audio team. Loto Audio has placed an order for its own Vero system, which will be delivered in July. For Corona Sunsets, the Vero system was shipped from the US. The event organiser was keen to keep the visual impact of the system to a minimum, which led to a stipulation that it should be stacked rather than flown, which offered the sound crew a challenge. The system comprised two elevated stacks of just two Vero V60, 60-degree, mid-high speakers on top of two Vero V90, 90-degree, mid-high speakers. Three Vero V315 mid-bass speakers were stacked on a dolly below and alongside the main stacks with six V221 bass enclosures per side on the ground between the mid-high stacks. Power for the system came from the recommended and supplied Lab.gruppen PLM20K44 amplifiers. Loto Audio also provided two Resolution 4 loudspeakers and two BR221 bass reflex speakers for the far end of the VIP bar area. Sets from Don Diablo, Thomas Jack, Tensnake, Goldroom, Tom & Collins, and RAC kept the 5,000 attendees moving well into the evening. FOH was pushed to the furthest away point, again because of a desire for the technical elements to remain as covert as possible.